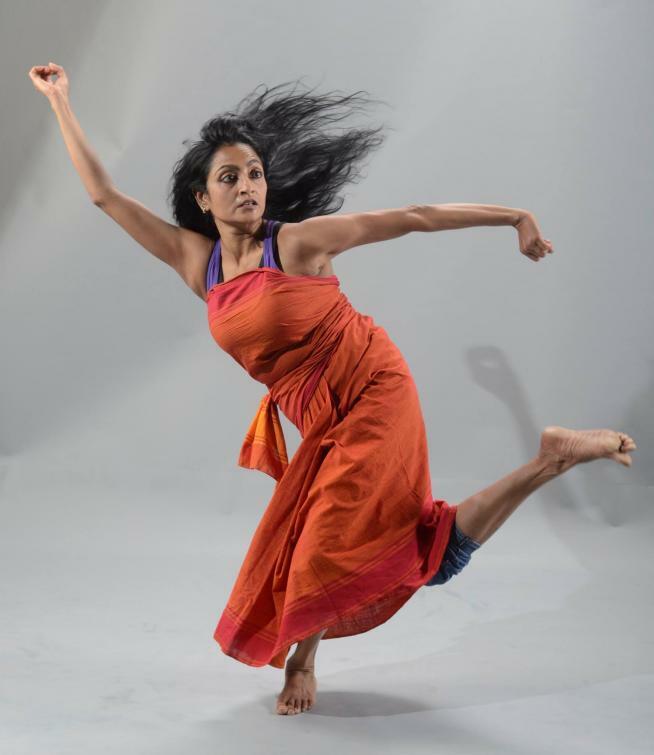 Ananya Dance Theatre's "Blue Dream Journeys". Photo by V. Paul Virtucio. Performances featuring Ananya Dance Theatre and guest artists and live musicians will happen every hour, on the hour, from 8 pm to 1 am. Audiences are invited to join with performers in moving through a labyrinth that begins on the David M. Lilly Plaza outside Northrop Auditorium and winds its way into the building to arrive beneath designer Jack Becker’s cloudscape installation in the Hubbard Broadcasting Rehearsal Studio. There, the performers and their community of witnesses will celebrate their imagined dreams through dance and live music. Inspired by stories of women’s aspirations to achieve daunting dreams, Blue Dream Journeys moves metaphorically from the midnight blues of past pain and lost hope towards the red-tinged blues of a future dawn where dreams become manifest. Northrop Auditorium is located at 84 Church Street SE, Minneapolis MN. Blue Dream Journeys is supported by an Imagine Fund Special Events Grant.